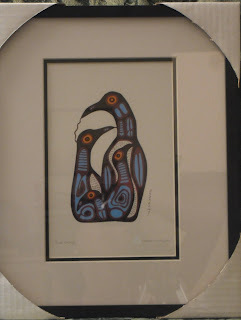 Last week I shared with you art work that you can drink from, this time I will go more traditional and show you what we bought for our walls when we visited Whetung Ojibwe Arts and Crafts Gallery. The Healer by David Johnson. 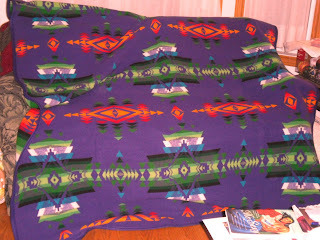 I had to borrow this photo from the Whetung website as I was unable to capture a nice photo of my print. 19 1/2 x 13 1/2 inches. To view more of David's work, click on his name for the link to his page at the Gallery. 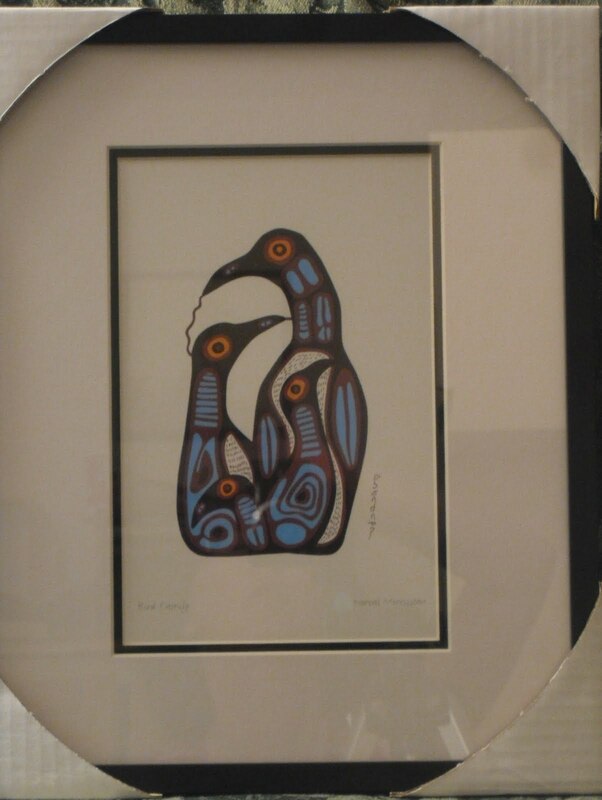 Bird Family by Norval Morrisseau. In a dream world I would have bought an original piece by Mr. Morrisseau, unfortunately they are priced way above my range. Fortunately the Gallery still has several of his original pieces on display, so will enjoy them when I visit. Husband was looking for something purple, and this Pendleton blanket was perfect. 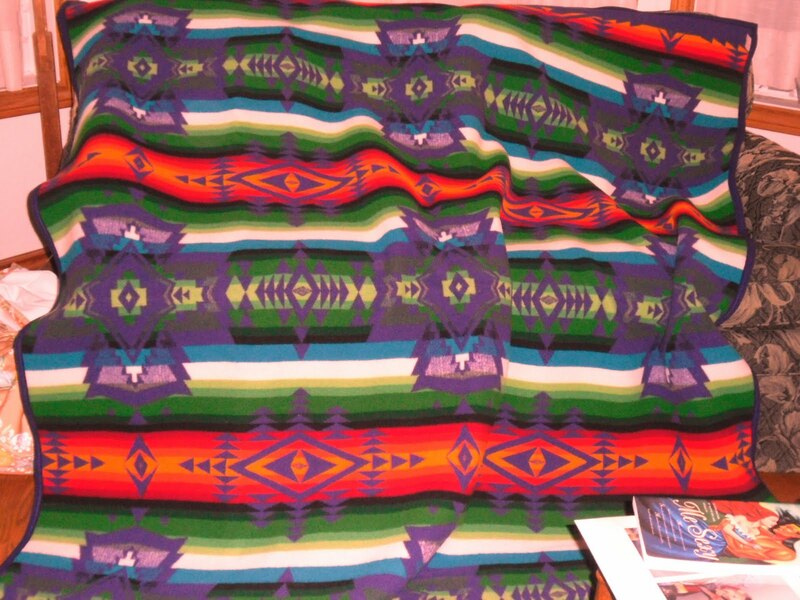 This first photo shows the front. This is a wonderfully thick wool blanket. 64 x 80 inches. That "Bird Family" is gorgeous! Yes, original art can be *so* pricey ... is this a signed print? nice!